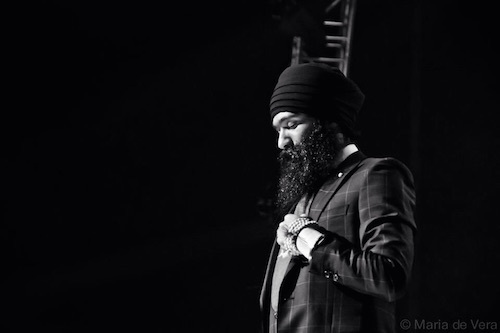 I first met Sukhdeep Singh aka L-Fresh The Lion at the Sydney Summer Camp in January 2014. We shared the same cabin. This allowed me to get to know him up close. He is one of the humblest guys I’ve come across. His presence exudes Sikh values. He can be up late, rocking the roof off a stadium and yet be up the next day at amritvela doing his nitnem baania. What’s amazing is not the fact that he has managed to carve a name for himself in an industry that is pretentious, fickle and fixated on external looks. What’s amazing is that he has stayed true to his Sikh values. Instead, he got the industry to accept him for who he truly is, a Lion of the Guru! Since 2009, he has toured nationally with Hip Hop legends Nas, Chali 2na (Jurassic 5), DJ Qbert, MC Supernatural, Talib Kweli and Dead Prez, according to one music industry website. L-Fresh The Lion is renowned for his powerful presence, inspiring live shows and thought-provoking hip hop lyrics, acxording to a write-up on his website. 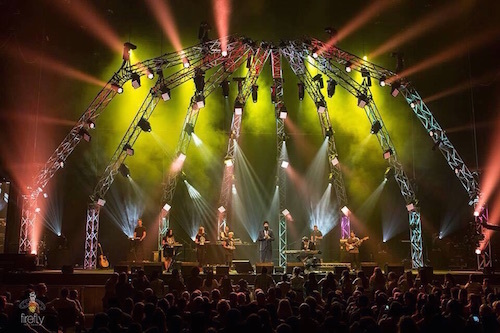 In a short space of time, this Western Sydney artist has gone from underground community events and ciphers to national tours and major festivals. It speaks of an MC with a sense of purpose and self-belief. His debut album ‘One’ announced L-Fresh The Lion as part of the new generation of hip hop artists currently making waves in the music industry. It’s a time of change and there’s excitement in the air watching young people magnetised by the uplifting narrative of L-Fresh The Lion’s triple j hit Survive. He took on the Fresh Prince of Bel-Air theme song and reworked it in such an original fashion, incorporating Punjabi MC. So much so that it was spoken of as one of the best Like a Versions of 2014. Inspired by the soulful movement in U.S. hip hop of the late 1990s and early 2000s, and the love and respect for his own cultural and ancestral roots of the Sikhs from Panjab, India, L-Fresh is an artist like no other. Aligning himself with many social justice issues, L-Fresh The Lion has dedicated himself to working tirelessy in the community. At present, he is an ambassador for All Together Now, Australia’s only national charity that exists solely to address racism.